Kenyan star ruby is valued for its sharpness of star and intensity of color. Its blush shade reveals the finest stars and this gem is available in shades ranging from vivid pink to dark rose red. From the Sanskrit word "ratnaraj " meaning "king of the gemstones " and the Latin "rubens" meaning red the ruby reigns supreme over other colored gemstones and is considered one of the most treasured jewels in history. This highly coveted gem has it allâ€”splendid color exceptional hardness and a superior brilliance. Praised in biblical passages as a stone of beauty and wisdom the ruby has remained a popular gift symbolizing love and passion throughout history. Ruby like its sister stone sapphire is a colored version of corundum. This solid mineral appears colorless in its pure form. Once mixed with chromium corundum develops its radiant red hue which ranges in shade from pink to blood red. 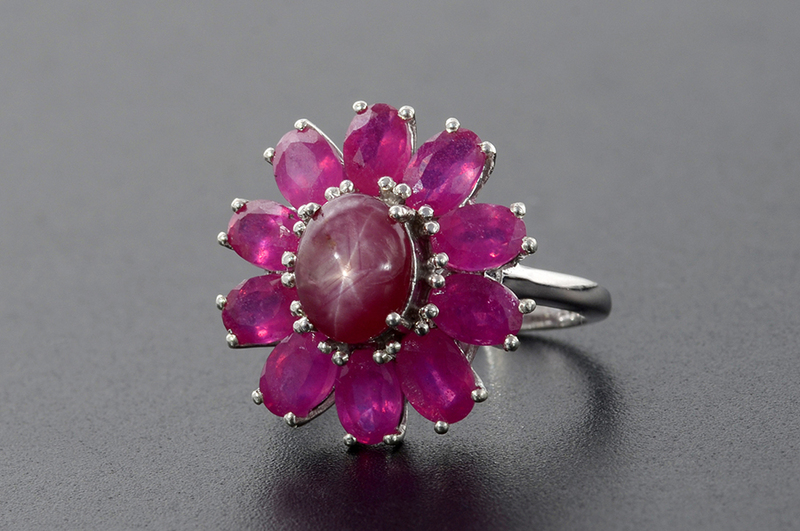 The opaque Kenyan star ruby is carved with a rounded cabochon cut to accentuate its shining asterism properties. The word asterism comes from the Greek word "aster" meaning star. Needle-shaped microscopic inclusions within the gem naturally align to reflect a six-pointed star. The blazing effects of asterism are strongest on the face of the gem when observed in daytime. 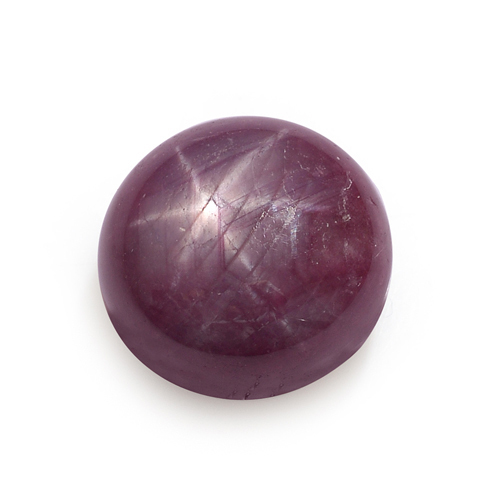 Only about three out of every 100 raw rubies exhibit the star-effect. Of those three gems only one will meet the standards to be called top quality. A Kenyan star ruby of more than five carats is particularly difficult to locate in today's market. • The Smithsonian National Museum of History is home to one of the world's largest and finest rubies a 23.1 carat stone set in a platinum ring with diamonds. • The Bohemian crown of Saint Wenceslas is said to hold a cabochon-cut ruby of nearly 250 carats. • Crystal healers believe that ruby is an energetic stone that amplifies vitality and helps overcome exhaustion and lethargy. • Ruby is considered an aphrodisiac by some that can deepen a relationship and maintain passion and closeness between lovers. • The ruby is a shielding crystal that helps reduce fear of the paranormal and evil and guards against psychic and psychological attack. It can protect your home and is good to wear discreetly at night for safety. 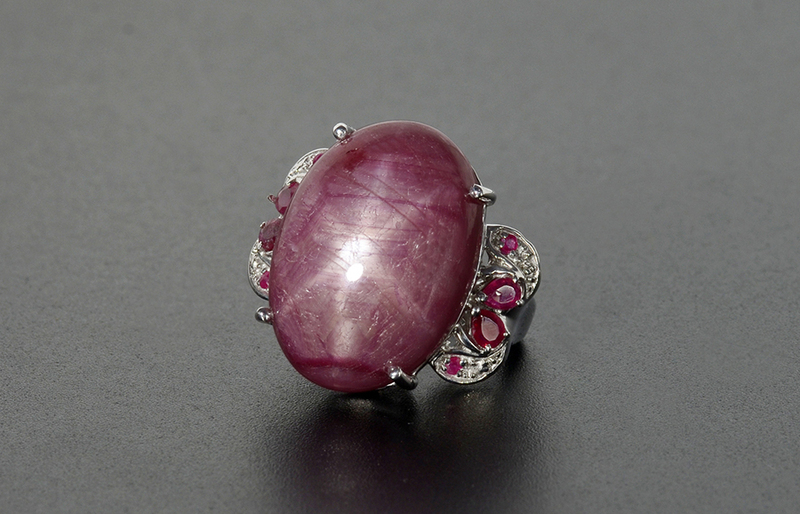 • In ancient China rubies were placed beneath a building's foundation to secure good fortune for the structure. • Ranks 9 on Mohs hardness scale. 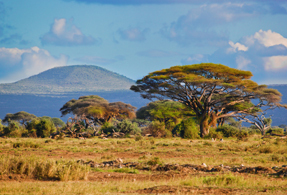 • Colors present in a variety of reds ranging from pink to maroon. •Member of the corundum family. • Traditional gift for 15th and 40th anniversaries. 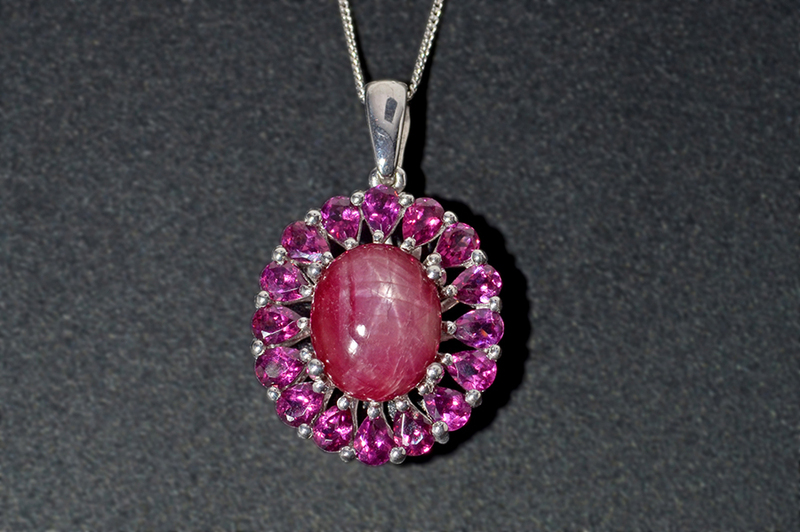 • Shop LC rubies may receive heat treatment to enhance color.